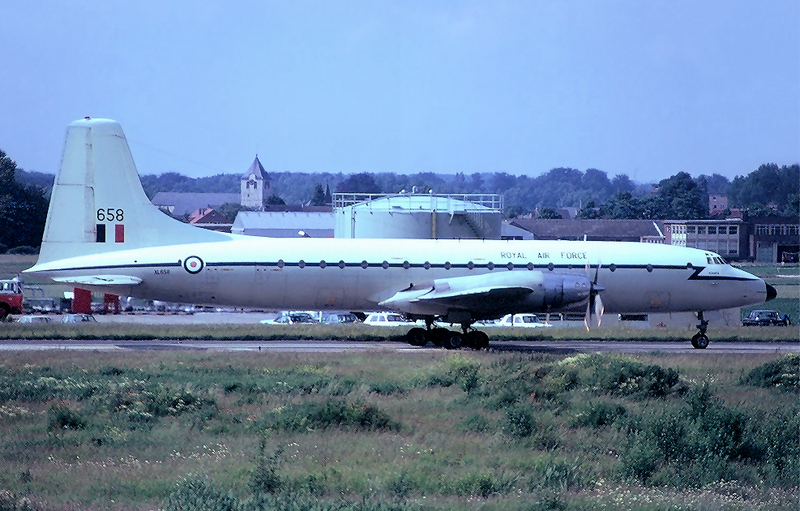 Built to contract 12829 and delivered to RAF Transport Command on 04 February 1960. She was allocated to No. 511 Squadron, serialled XL658 and named ‘Adhara’. She was used within the Britannia pool at RAF Lyneham and Brize Norton. Withdrawn from use by the RAF, XL658 was stored at RAF Kemble in January 1975 until purchased by Airline Engineering of Luton on 26 May 1976. 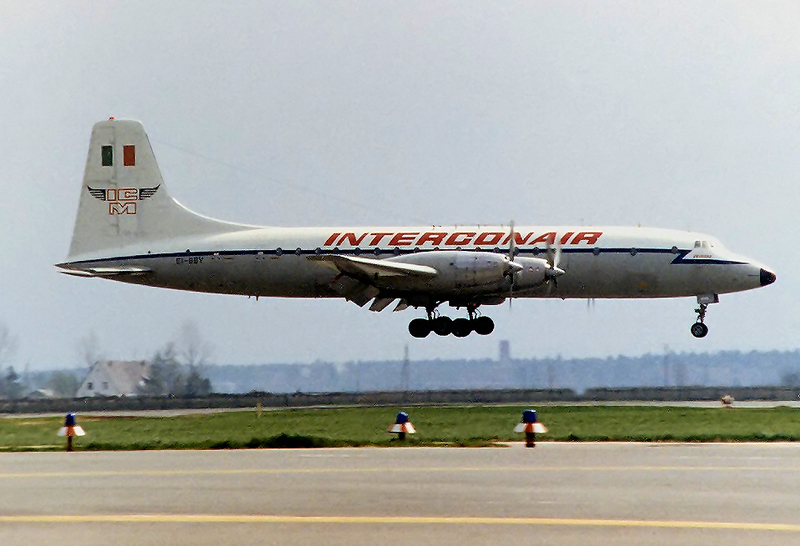 Registered EI-BBY on 18 June 1976 she was sold to the Intercontinental Meat Company, in the markings of Interconair, at Hurn Airport on 10 August 1976 and re-named ‘Deirdre’. Her career was short lived! Whilst approaching Shannon Airport on 30 September 1977, en-route to collect livestock, EI-BBY crash-landed and caught fire after experiencing severe vibration on short finals and failure to gain height after a go-around. Everyone aboard escaped without injury. A month later in October 1977 EI-BBY was broken up and scrapped following a career which totalled 20 205 flying hours and 8547 landings.